A recent published hypothesis proposed that Crohn's disease was provoked by infantile exposure to micro-organisms that can survive refrigerator temperature. A case–control study was accordingly devised. 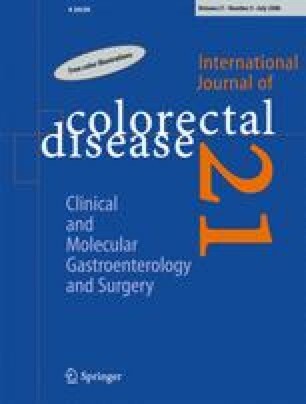 The mean age at first fridge was 5.6 years amongst 88 patients with Crohn's disease, 5.5 years in 88 patients with ulcerative colitis (UC) and 7.6 years in 88 controls, but a majority of individuals had always been exposed to refrigerated food. Differences were more striking in subjects aged above the median (10.3, 10.9 and 15.0 years for Crohn's disease, UC and controls, respectively). This support for the hypothesis reached statistical significance for those with Crohn's disease compared to the controls (p=0.045). Alastair Forbes conceived the study, collected and analysed data and wrote the initial drafts of the manuscript. He had access to all of the raw data for the study. Dr. Kalantzis collected much of the data, identified healthy controls and contributed to the interpretation and analysis of results. The authors shared responsibility for the conclusions, and Dr. Forbes took the final decision to submit the work for publication. Dr. Alastair Forbes is a National Health Service employee, and Dr. Tommy Kalantzis has an unrestricted educational scholarship from Greece. We thank our medical colleagues in the clinic and our patients for their enthusiastic cooperation with this small study.